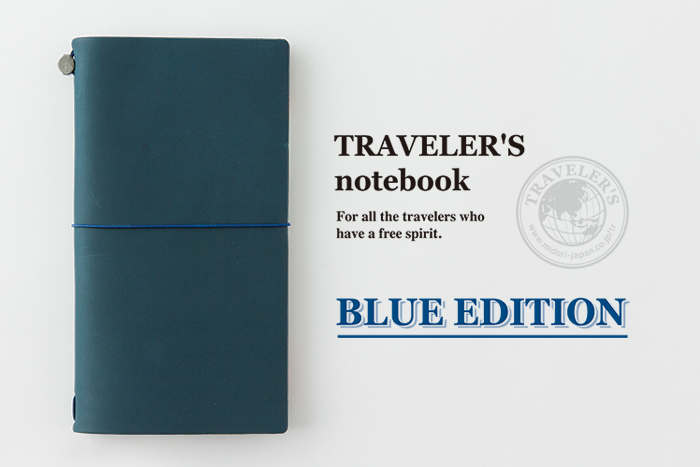 TRAVELER’S notebook will offer a Blue Edition, a limited color available only in 2015. Our inspiration came from the indigo sky right before dawn, welcoming the first beam of sunlight. 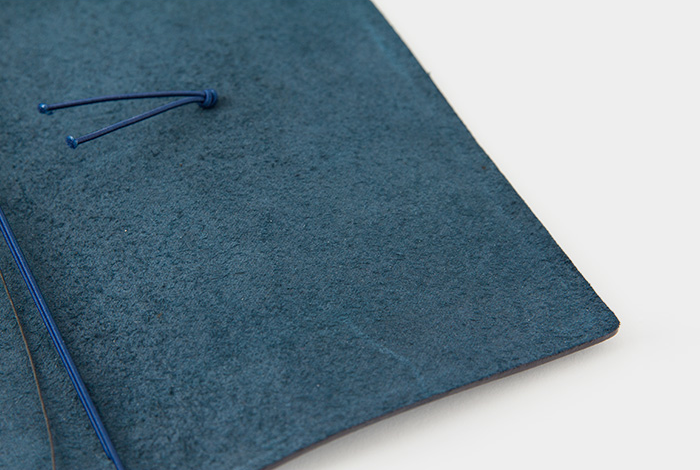 We chose a deep, dark blue, similar to that of blue-black ink, or indigo dye, not a bright and brilliant blue. Blue — Picasso’s self-portrait from his “blue years”, carried a feeling of heavy anxiety and a firm determination. Blue — the earth photographed from outer space, and a shot of deep marine blue taken by a deep sea diver — has grandeur, beauty and calmness. Yves Klein, a French artist, invented his ideal color, a deep blue named “International Klein Blue.” Following that, he used no other color. He described blue as a deeply spiritual color that invites us into the infinity of the universe. Variations of blue evoke a diversity of images – youthful freshness, immaturity that accompanies it, melancholy and solitude, serenity, refinedness, eternity, and much more – depending on their degree of brightness and hue. 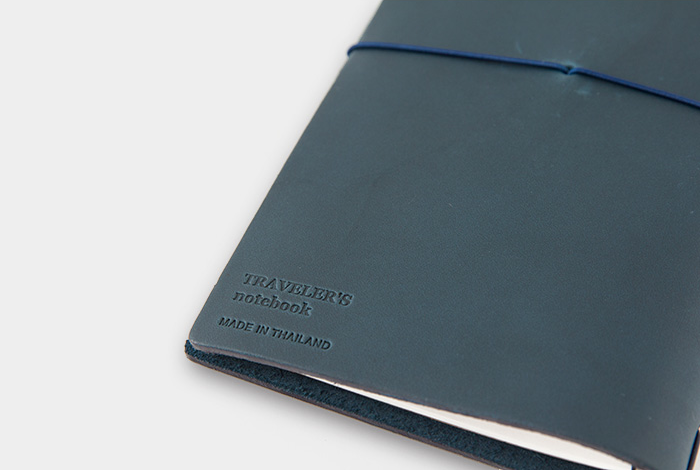 TRAVELER’S notebook Blue Edition comes clad in leather of a deep blue, which makes us think of new travels. 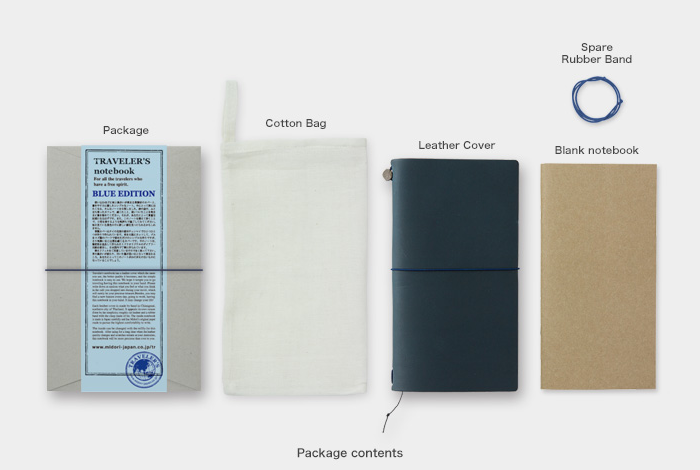 In addition to this Blue Edition, we will release new items created by collaboration between TRAVELER’S notebook and Pan Am, which once was the national flag carrier of the USA. The airliner used to have blue as its corporate color. These items will be nice when you customize your Blue Edition.